This 10-story hotel is adjacent to the University of Buffalo and is 13 miles north of downtown and the convention center. Staff was excellent! Very friendly and helpful. Will stay here again. Where to find Amherst hotels near an airport? Where can I find hotels in Amherst that are near tourist attractions? When it's time to start planning your Buffalo escape, there is a generous assortment of first-rate stay options in Amherst. You can search no less than 59 accommodation options within a 0.1-kilometre (0.06-mile) radius of downtown Amherst in our up-to-date accommodation pages. Amherst's city center is an easy walk from accommodation like Homewood Suites by Hilton Buffalo/Amherst and Buffalo Marriott Niagara. Budget travelers rejoice! Amherst offers loads of lower-priced hotels. 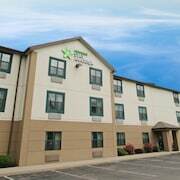 3 kilometres (2 miles) from Amherst's downtown is where you'll find the Extended Stay America - Buffalo - Amherst. The Sleep Inn is just 3 kilometres (2 miles) away. 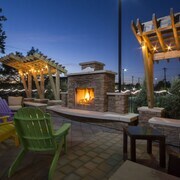 The Comfort Inn University and the University Manor Inn are another two cheaper hotels worth checking out. The Great Wolf Lodge , Ripley's Water Park Resort is situated 25 kilometres (16 miles) away from the main part of Amherst. Another alternative is the Pillar and Post, which is situated 35 kilometres (23 miles) away. The The Mansion On Delaware Ave and also the Ellis House Bed and Breakfast, Niagara Falls are two other recommended options in Amherst. After you have spent time in Amherst, ensure you have enough time to visit Niagara Falls - Western New York's other cultural and scenic delights. Check out Niagara Falls - Western New York's art galleries and theaters and enjoy the region's lakes and gorges. Travelers in this region of United States of America can enjoy ice skating, guided nature walks and rafting. 9 kilometres (5 miles) from Amherst you will find Downtown Buffalo, where you can spend the day exploring Greater Buffalo Sports Hall of Fame and Old Erie County Hall. If you'd like to spend a few nights in Downtown Buffalo, be sure to check out the Lofts on Pearl and Hampton Inn & Suites Buffalo Downtown. Or, you could consider staying in Hamburg, 30 kilometres (18 miles) to the south of Amherst, where you can choose from the Holiday Inn Express Hotel & Suites Hamburg and Comfort Inn And Suites Hamburg. The Hilbert College and Hamburg Gaming at the Fairgrounds are just a couple of the more popular places to check out when you're in Hamburg. Located 8 kilometres (5 miles) away from Amherst is Buffalo Niagara International Airport. 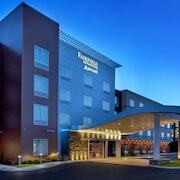 Stay nearby at Homewood Suites by Hilton Buffalo Airport or Residence Inn by Marriott Buffalo Galleria Mall. 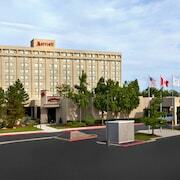 What are the most popular Amherst hotels? Are there hotels in other cities near Amherst? What other types of accommodations are available in Amherst? Explore Amherst with Expedia.ca’s Travel Guides to find the best flights, cars, holiday packages and more!